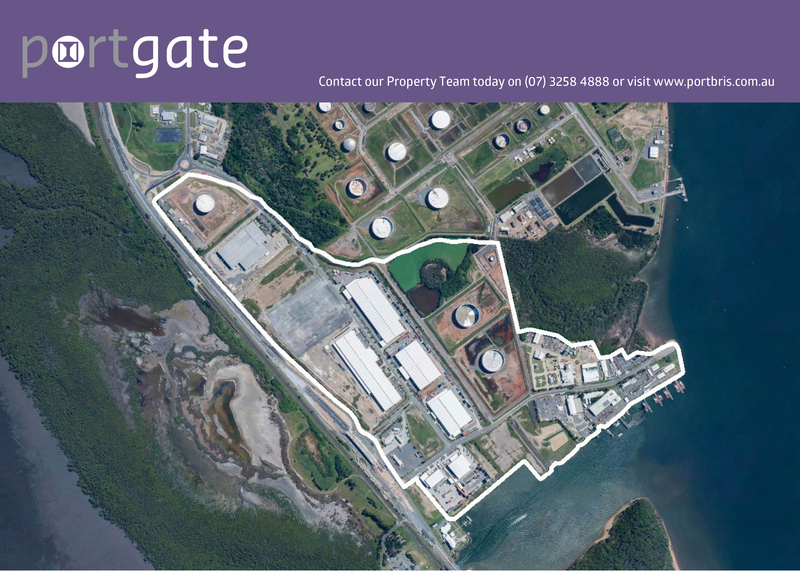 Port Gate (formerly known as Whyte Island) is a key waterfront precinct located close to the Port’s terminal facilities and on a central road corridor providing tenants with excellent transport efficiencies. Located only 1.4 kilometres from the port terminals, Port Gate was designed to provide for port operational activities and support services. It currently accommodates tug and dredging bases, barge operations, emergency services, vehicle services deports, and warehousing and distribution centres. Access to the estate is from Port Drive, into Tanker Street or Kite Street and then into Osprey Drive, which is a central road corridor configured for optimum vehicle access to all Port Gate lots and engineered to withstand Super B-double vehicles with 109 tonne loads. Available land parcels are likely to suit freight carriers and third party logistic operators who will take full advantage of the optimum vehicle access. Port Gate also boasts a number of land parcels with river frontage. Tenants are able to take full advantage of this amenity within their own development design (subject to planning approvals).